Of the fall television season, it's probably safe to say, NBC's "Grimm" was not expected to be the breakout hit, or any hit for that matter. The time slot was terrible (Friday nights), it had no major stars attached to it and the premise - Grimm fairy tales set in modern times around the banner of a police procedural - sounds like it could be the cheesiest thing ever. But it's not. The show is dark and imaginative, both in rich, lush set designs and writing that puts a spin on the original Grimm tales where they come alive and make sense in the context viewers are given (short answer: the Brothers Grimm weren't writing early kid-lit; they were writing about real occurrences). 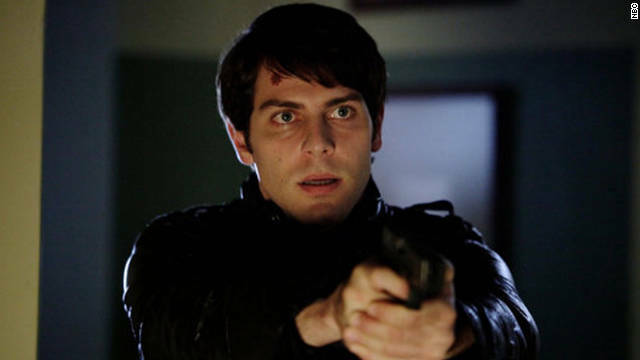 "Grimm" centers around Detective Nick Burkhardt (played by David Giuntoli), who in the first episode finds out he's a long lost descendent of the Grimms and is starting to see people for who they really are - in short, evil. Giuntoli has been a working actor for the past several years, picking up mostly one-off roles on shows like "Grey's Anatomy," "Cold Case" and "Hot in Cleveland" before landing the plum role on "Grimm." CNN recently spoke with the actor from the "Grimm" set in Portland, Oregon, about what makes the show such an unlikely hit and the process of bringing fairy tales to the small screen. Filed under: Fandom • Squee!